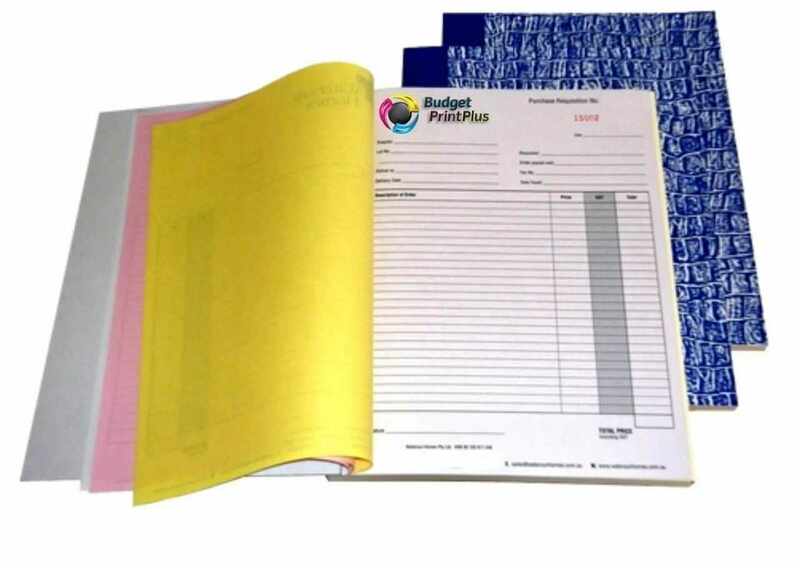 We specialise in printing invoice books; we have a broad range of cash receipt books with company logo, buy request books, receipt books, money receipts books, cash books, docket books, carbonless books, custom receipt books, customised receipt books, copy and quadruplicate books and so forth., all with carbonless printing. Personalised Invoice Books Australia, Quadruplicate, NCR invoices are perfect for sales, conveyances, recording site work completed, field examination records, and receipts all the times when you have to keep a record while additionally leaving a duplicate with another person. The sheets are printed with the wanted arrangement and can be successively numbered for reference. Carbonless Printed Invoice Books are an efficient way to provide multiple color-coded copies of a single document that includes handwritten or typed information. They are the modern replacement for forms with carbon paper. NCR Forms eliminate the carbon mess and are a much more professional alternative to filling out multiple copies of a form on white paper. Use them for forms of all types, such as order forms, packing lists, invoices, and receipts. They are particularly useful where quantities, checkmarks, or signatures will be added to the form by hand.